Diodorus of Tarsus, born in Antioch (?-around 394), is considered a minor writer in Christian history. He had a Greek education and was very well versed in literature. He was consecrated Bishop of Tarsus and was a patron of several monasteries. Like many others we have seen before, he was also involved in the battles against several heresies. He was author of several works in a category that today we would define as Apologetics. In the Dictionary of Christian Biography and Literature to the end of the Sixth Century AD (available on www.ccel.org) it is said of him: “He studied philosophy or secular learning at Athens, where he probably was an associate of Basil and Julian, the future emperor (Facund. lib. iv. c. 2, p. 59). On his return to his native city, Diodorus and his friend Flavian, also of noble birth (subsequently bp. of Antioch), embraced a religious life. Here, while still laymen, during the reign of Constantius, they exerted themselves energetically for the defence of the orthodox faith against the Arians, who were covertly supported by bp. Leontius, c.350. They gathered the orthodox laity even by night around the tombs of the martyrs, to join in the antiphonal chanting of the Psalms, which, Theodoret tells us, was first instituted or revived by them, as a means of kindling religious zeal, after the model ascribed by tradition to the martyred bishop of their church, the holy Ignatius (Socr. H. E.vi. 8; Theod. H. E. ii. 24). These services strengthened the faithful to meet the persecutions. The weight of Diodorus and Flavian at Antioch was proved when in 350 their threat of withdrawal from communion induced Leontius to suspend Aetius from the diaconate (Theod. u.s.). On the accession of Julian, his attempt to rekindle an expiring paganism provided a new field for the energies of Diodorus. With pen and tongue he denounced the folly of a return to an exploded superstition, and so called forth the scurrilous jests of Julian.” The battle against internal enemies (because heretics, let us not forget, think themselves as better Christians and more authentic) was one of the main priorities of the time: “The Antiochene School of which he was the leader was discredited by the subsequent heresies of Nestorius, of whom his disciple Theodore of Mopsuestia was the precursor. Theodoret wrote to exculpate Diodorus, but St Cyril declared him a heretic. The damning passages cited by Darius Mercator and Leontius seem, however, to belong to a work of Theodore, not of Diodorus; nor was the latter condemned when Theodore and passages of Theodoret and Ibas (the Three Chapters) were condemned by the Fifth General Council (553). It seems certain that Diodorus went too far in his opposition to (the younger) Apollinaris of Laodicea, according to whom the rational soul in Christ was supplied by the Logos. Diodorus, in emphasizing the completeness of the Sacred Humanity, appears to have asserted two hypostases, not necessarily in a heretical sense. 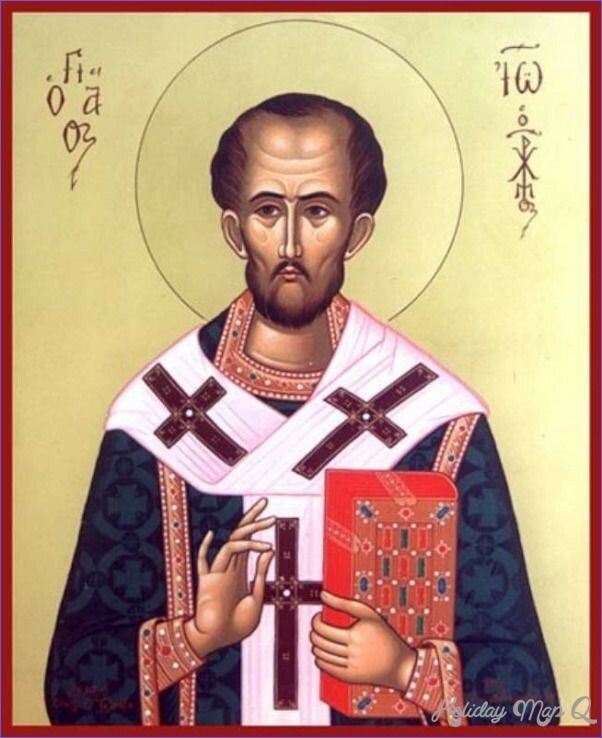 If the developments by Theodore throw a shade on the reputation of Diodorus, the praise of all his contemporaries and especially of his disciple Chrysostom tend yet more strongly to exculpate him. It will be best to look upon Diodorus as the innocent source of Nestorianism only in the sense that St Cyril of Alexandria is admittedly the unwilling origin of Monophysitism through some incorrect expressions. Against this view are Julicher [in Theol. lit. Z. (1902), 82-86] and Funk [in “Rev. d’ hist. eccl.”, III (1902), 947-71; reprinted with improvements in “Kirchengesch, Abhandl.” (Paderborn, 1907), III, 323]. The fragments of his Commentaries on the Old Testament are collected in Migne, P.G., XXXIII, from the Catena of Nicephorus and that published by Corderius (Antwerp, 1643-6), also from Mai, “Nova Patrum Bibl.”, VI. A few more are found in Pitra “Spicilegium Solesmense” (Paris, 1852), I. A long list of the lost works is in Fabricius, “Bibl. Gr.”, V, 24 (reprinted in Mige loc. cit.). Some Syriac dogmatic fragments are in Lagarde, Analecta Syriaca”, (Leipzig and London, 1858). Four treatises of Pseudo-Justin Martyr have been attributed to Diodorus by Harnack (“Texte und Unters.”, N.F., VI, 4, 1901)” (Chapman, J. (1909). Diodorus of Tarsus. In The Catholic Encyclopedia: http://www.newadvent.org/cathen/05008a.htm). Saint Ignatius of Loyola has said: Dei sacrificium intellectus: we sacrifice the intellect to God. What is the meaning of this and how relevant is it for Diodorus? It means that we aim for a superior truth, a higher knowledge than the one that will be possible with the strength of our poor intellect. Many Christian fighters like Diodorus have fought this battle for a higher truth. Let us hope that many more will follow. Previous PostBITE-SIZE THEOLOGY (15) – What does “Supernatural Revelation” mean?